San Francisco (& Vancouver, BC), CA, July 14, 2017--(T-Net)--Slack anounced today that it has invested in 7 new companies via its $80 Million Slack VC Fund. Slack built the Slack Fund to support its ecosystem, so that it could take a bet on founders who were taking a bet on them. Today they announced seven new Slack Fund companies with a whole range of products that fit squarely in the B2B category, from tools for customer support to products that engineers use to speed up the development process. Polly lets customers build enterprise surveys & polls in Slack. How it works in Slack: Install Polly, one of the most popular apps in the App Directory, to run a variety of types of surveys and polls right within Slack. Neva provides AI-Driven automation for support, whether IT support within an organization, or customer support for clients. How it works in Slack: The Neva virtual agent facilitates IT support in Slack. For instance, from Slack, employees can ask Neva about their PTO balance, submit requests to reset passwords, or order mobile phones. Drafted, the referral hiring platform, matches people in your team's network to open roles at your company, and makes intelligent suggestions about whom to refer. How it works in Slack: The Drafted app enables you to run your entire employee referral program on Slack. The app can make personal referral suggestions for every member of your team and has real time notifications for hiring managers to respond quickly to referrals. StdLib is connecting businesses and developers via APIs. It uses “server-less” technology that allows people to ship software products and build an API business without managing infrastructure. How it works with Slack: StdLib provides all of the tooling necessary to build, deploy and scale Slack Apps with very little effort. Using StdLib, with only a single command and your Slack credentials, you can build an App for Slack in under 10 minutes. Loom is a video collaboration platform that lets team members record and share quick videos throughout an organization. The Loom app for Slack is coming soon. PinPT Software: helps businesses truly understand what they are spending, both in dollars and in human capital, on creating and deploying software. PinPT is still very early, and their Slack integration is in development. efficiently. The Parabol app for Slack is in private beta, and will be out publicly in the coming months. 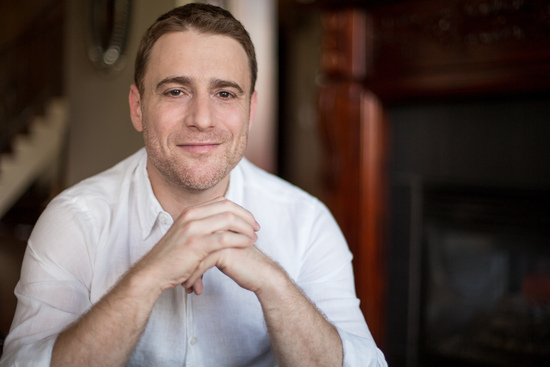 Stewart Butterfield, Slack CEO and co-founder. Butterfield, who was born in BC, was also a Co-Founder of Flickr, a photo sharing platform that also began in Vancouver (and later sold to Yahoo). Wondering how the other Slack Fund co's are doing? Automat recently raised series A funding. Datafox saw 150% year over year growth, and a number of our fund co's are starting to sell to some of our largest customers on Slack. Guru has grown to over 260 paying customers, including Shopify, square, Optimizely and Dell, and Donut has facilitated over 100,000 introductions with their meeting bot. If you'd like to learn more, or want to be considered for funding, you can learn more on the Slack Fund website. Imagine all your team communication in one place, instantly searchable, available wherever you go. That's Slack.